Steel Advantage Security Doors, Patio Furniture & More! March is upon us already and that can only mean one thing – It’s time for the Maricopa County Home & Landscape Show & this year everyone here at Steel Advantage is more excited than ever! That’s because this year we’re not exhibiting at 2 booths. We’re exhibiting at 5! Plus, as Platinum Club members of the Maricopa County Home Shows, we’re part of their Home Shows Referrals Program. 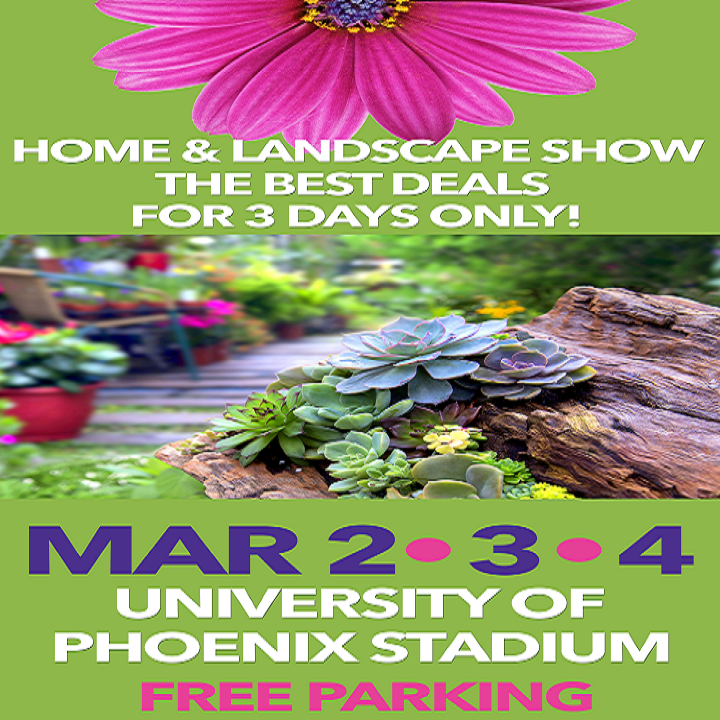 This year, the Maricopa County Home & Landscape Show takes place Friday, March 2, Saturday, March 3, and Sunday, March 4 at the University of Phoenix Stadium in Glendale, AZ. Find us at booths 112, 114, 116, 1106, and 1108. You can view and learn more about our security doors, gates, patio furniture, and more. Plus, you can find out about our current specials, including 10% off all patio furniture and security doors on sale, starting at just $819, including installation. The Maricopa County Home, Landscape, and Garden Shows turn 25 this year. The Home shows are always packed with amazing and fun events and workshops and with everything from crafting workshops to free 1-day State Park Passes, dog adoptions, take home landscape designs, and more, this spring’s Home & Landscaping Show promises to be no exception. You might even win a Living Space Makeover with Kathy Ireland! And like always, after you’re done exploring, or even in between, stop by and take a break on some of our amazing patio furniture. For more information about all the events and special guests, as well as information about admission and parking, visit the Maricopa County Home Shows website. And if you have any questions about how to find us at the Home and Landscape Show in March, or can’t wait and want more information on our doors and furniture, drop them in the comments below or open up a chat session with one of our helpful staff.